CamelWay Tower crane, originated in Western Europe, the boom mounted on a rotary tower crane towering upper portion. Large work space, mainly used for vertical and horizontal housing construction in the delivery of materials and installation of building elements. It consists of three parts of metal structure, mechanism and electrical system components. Metal structure includes a tower boom and the base and the like. Institutions work lifting, luffing, slewing and walking four parts. Electrical system includes an electric motor, controller, power distribution cabinets, cable connections, signal and lighting devices. 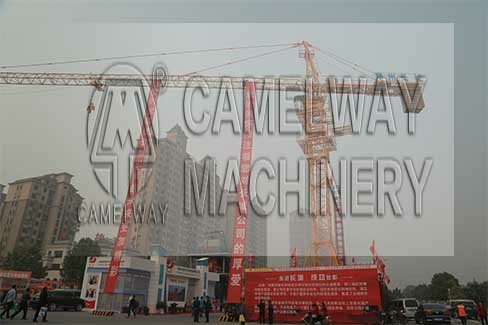 CamelWay tower crane is famous for its large operating ranges, varied working methods and wide uses. They can be widely used for the construction of high-rise hotels, residential buildings, industrial buildings, large-span factory buildings and tower-like buildings like tall chimneys. This series of tower crane has a horizontal jib frame, a jib-trolley radius-changing mechanism and a hydraulic self-raising mechanism. It is original in design, reliable in operation and satisfactory in shape, good speed-control capacity, satisfactory operating stability and high work efficiency. 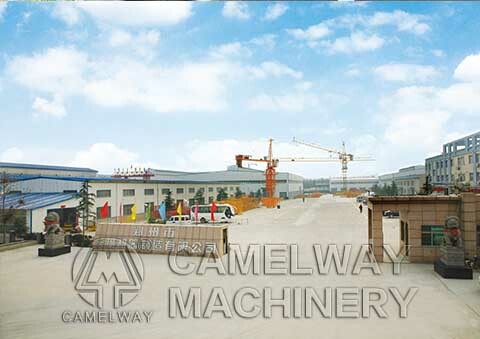 Also excellent quality, International standard, reasonable cost ensure the quality of CamelWay tower crane. Do you need tower crane? Do you want to know the tower crane how to use in China? 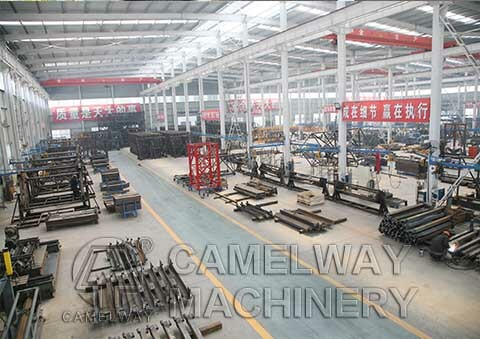 Camelway Machinery manufacture will give you a new define about the tower crane. Tower crane operating speeds include: Lifting speed, swing speed, varying speed, carts walking speed, and so on. In the lifting operation, lifting speed is the most important parameter, especially in high-rise buildings. If we increase the lifting speed, it can improve work efficiency. When hanging objects , it need to get back its original place slowly, because lifting speed range is the presence of the lifting performance. The lifting speed id not only related with the lifting structure, but also with the hook pulley block ratio. Two ropes is faster than four ropes and single rope is faster than double ropes. In the lifting operation, the slewing, luffing, walking carts, etc., which do not require excessive speed, but must be able to smooth starting and braking, to achieve stepless speed control, and frequency control is ideal.